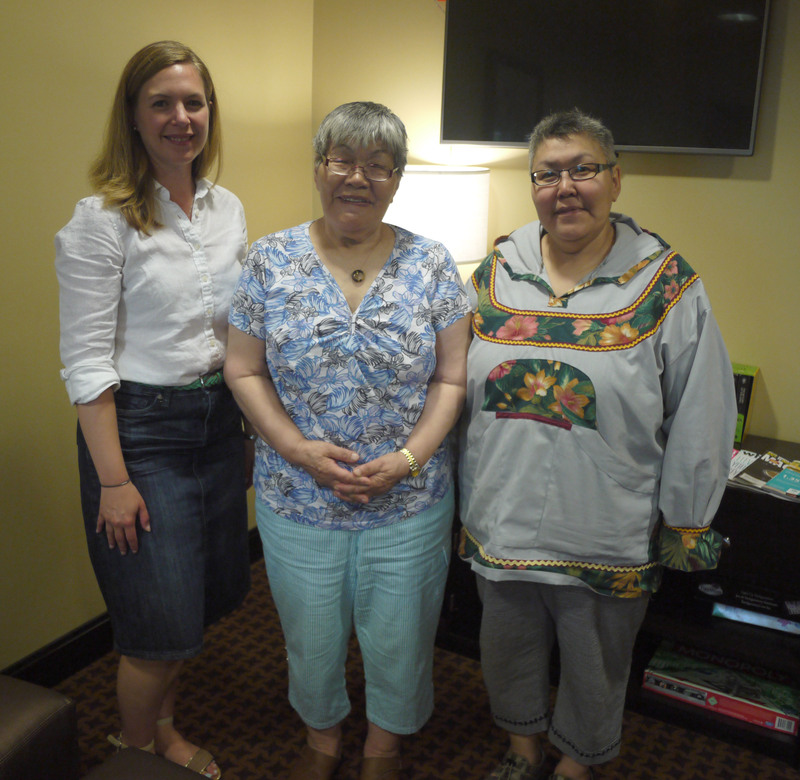 Me with Louisa Baril and Cathy Aitaok in Edmonton in early July 2015, getting to meet for the first time in person. The Ghosts of Camsell blog project may have ended, but I have been pushing forward with my research and relationship building. This has included trying to help find answers for Louisa and Cathy about what happened to the former’s dad (latter’s grandfather), Joseph Elulik. He left Cambridge Bay, Nunavut on a plane in May 1960 to be treated at the Camsell – possibly for prosthetics to be fitted for his feet – and never returned. His daughter, Louisa, was 17 years old, recently married with a newborn when he left. She remembers he told her he, like others from the community, might not come back from the Camsell, and how she cried when he took off. Now she is 72 years old and wants to know what happened and where he is buried. As anyone who has worked to dig up these kinds of answers knows, it is not straightforward. The two women told me they don’t know his Inuit ID number (sometimes called Eskimo Dog Tags) and that due to creative phonetic spellings, as well as Anglicization of Inuit names, his surname might have been spelled Illulik or Elolik. They think he was Catholic, which might explain why he wasn’t buried at the St. Albert Aboriginal Cemetery I wrote about in this series. But searches through Beechmount and St. Albert Catholic Cemeteries haven’t turned up anything yet either. If this rings any bells, please get in touch and I will pass along the information to Cathy and Louisa. We hope a former patient, nurse or staff member at the Camsell will remember him. In the meantime, I will keep digging into what records I can find, talk to more people, and unpack this complex history. Here is a link to a recent update I had published on the Edmonton City as Museum Project website. Also, CTV Alberta Primetime just did a two-part feature on this story featuring Louisa talking about her dad, and myself and others like Miranda Jimmy discussing the history and legacy of the Camsell Hospital. Click on the following to watch Part One. Part Two. Thank you also to CBC and APTN for their recent interest in this story and trying to help Louisa find what happened to her father. 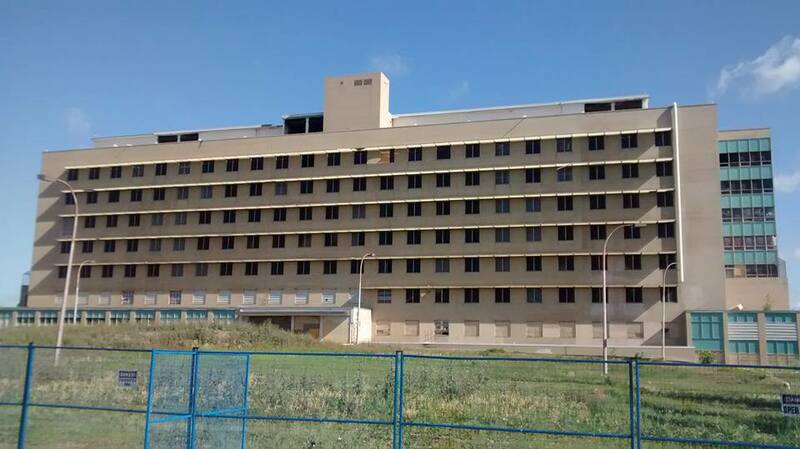 The Camsell Hospital on July 7, 2015 in the middle of being redeveloped. Previous Article Tell Your Story!